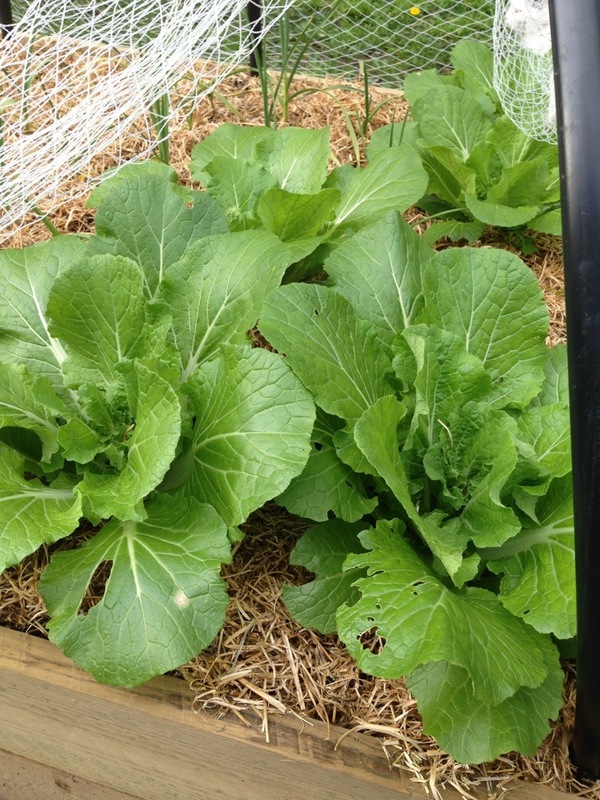 These are the Napa Cabbages (or Won Bok) we planted in May which I showed in my Hardware Hack post (https://itssokhay.com/2013/05/16/hardware-hack/). They have grown quite a lot considering the lack of good sunshine we have been having lately. Come late Winter / Spring, they should start to develop their very recognisable heads and be ready for harvesting.